Whitmore Press was delighted to launch Tracy Ryan’s latest poetry collection, Hoard, at Collected Work in Melbourne on Monday 31 August 2015. Marion May Campbell delivered a brilliant launch speech. If you didn’t make the launch, or even if you did but would like access to the text of Marion’s speech, you can find it on the Cordite website here. 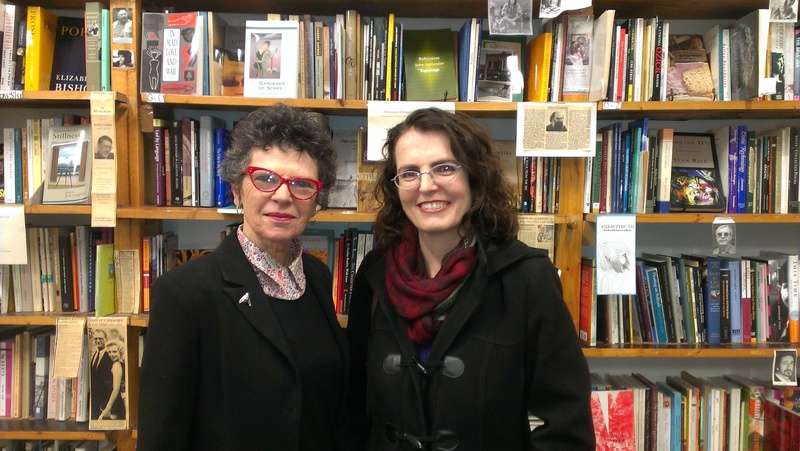 Marion May Campbell and Tracy Ryan at the Collected Works launch. Weren’t at the launch but love a copy of the book? Order one here. Free postage!